The detailed nail art incorporated a range of styles, each more intricate than the last. In fact, there was so much variety that many of the models wore a different type of art on each nail. Of course, the themes of the show tied the many distinct nail looks together. CND co-founder and style director Jan Arnold says that the CND Design Lab was "incredibly inspired by" Libertine founder and creative director Johnson Hartig's "beautiful, slightly melancholy tribute to the antique." 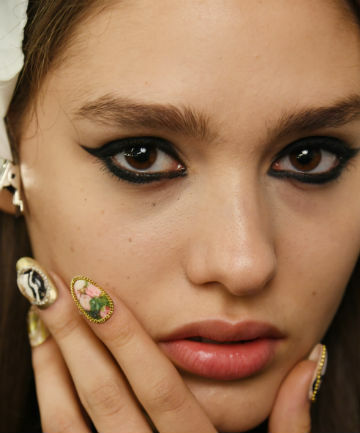 Keep on reading to see some of the show's most stunning nail looks.